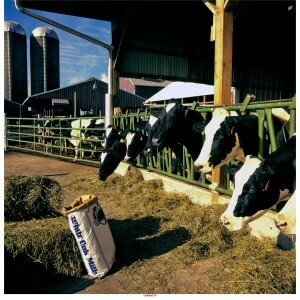 White Oak Mills offers dairy producers the option to receive a truly-customized complete, concentrate or mineral mixes based on the forages and feedstuffs available on your farm or to order feeds from its standard product line. White Oak Mills manufactures specifically customized complete feeds to match your cows’ nutritional needs and your priorities. Having the flexibility of more than 200 high-quality, competitively-priced ingredients and additives available at White Oak Mills, your White Oak Dairy Specialist or independent nutritionist will formulate a custom ration specific to your farm. White Oak custom complete feeds are truly unique to your farm and formulated, utilizing the latest ration-balancing and amino acid-balancing software and nutritional research, to meet the specific nutritional needs of your milking herd. Available in bulk in 14% to 26% crude protein levels, Imperial Blends are high in energy and specifically formulated to include flaked beans and flaked corn. This product can also be used as a top-dress. Available in 14% to 24% protein levels, White Oak’s Milk Maker Pellets are carefully formulated to provide necessary protein, energy, vitamin and mineral levels. 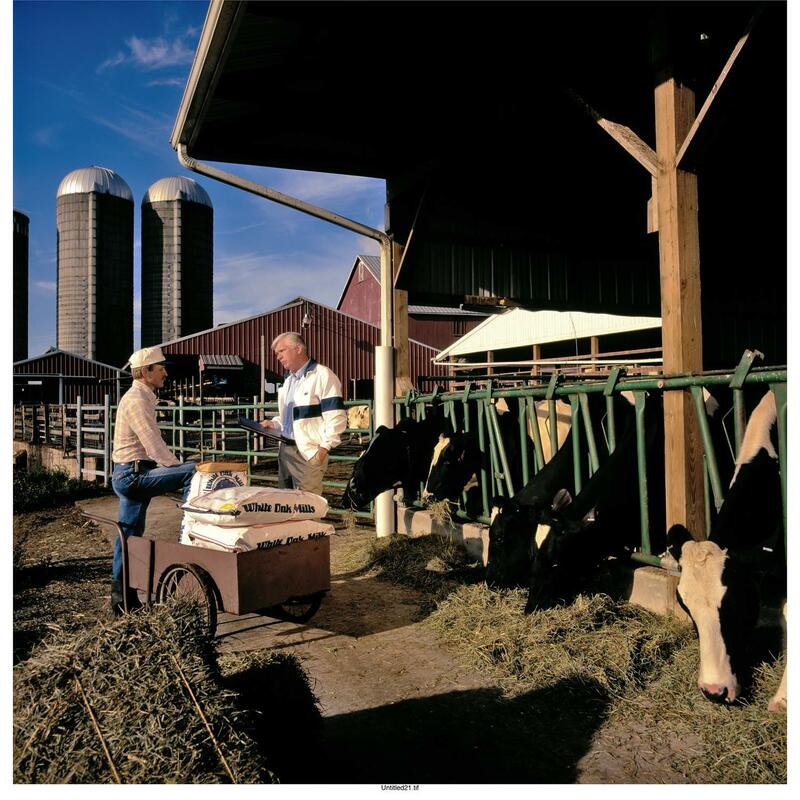 Your White Oak Dairy Specialist will formulate a top-dress to meet your specific needs and priorities. A high-energy, high-protein supplement, this ration is formulated using a combination of bypass fat (Megalac) and bypass protein (Turbo Protein AV). Fed at a 1.5 pound feed rate, the Fresh “2” Peak add pack is specifically formulated to meet the nutritional needs of fresh and early lactation cows . . . prior to the cows reaching their peak dry matter intake. Fresh “2” Peak is designed to be palatable, boost intake and enhance rumen fermentation. It contains bypass fat, bypass protein, chelated trace minerals, and vitamins. 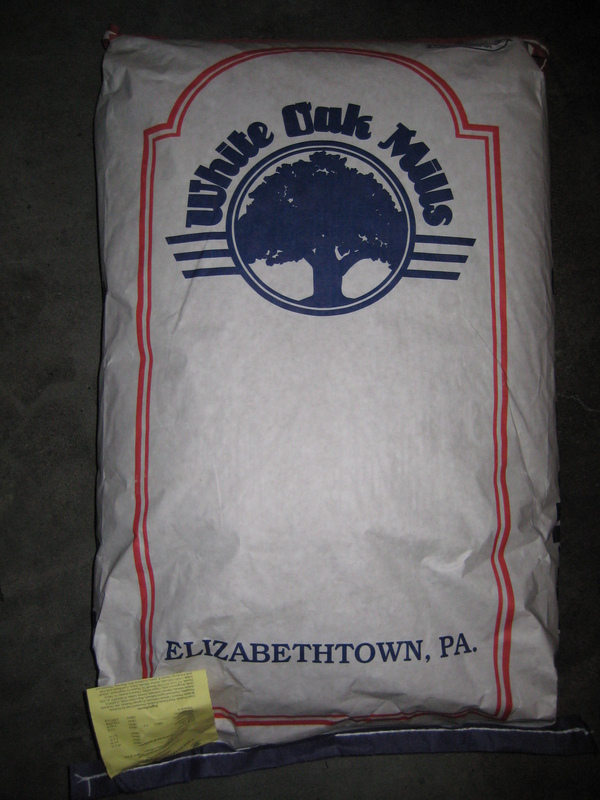 White Oak Mills manufactures customized concentrates and super concentrates to match your on-farm forage and grain supplies and nutritional needs. 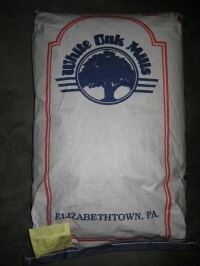 Your White Oak Dairy Specialist or nutritionist will formulate a custom ration specific to your farm. White Oak custom concentrates are truly unique to your farm and formulated, utilizing the latest ration-balancing and amino acid-balancing software and nutritional research to meet the nutritional requirements of your milk cows. A high-energy product with 7% fat from naturally-occurring sources, this blend is formulated to meet the high-energy requirements of top-performing cows. These products are fortified blends of all-natural proteins developed in a concentrated form to meet the lactating cow’s nutritional requirements during all stages of lactation. PFBs are customized White Oak Mills mineral and vitamin blends formulated to match your unique farm-grown forages, grains and protein sources. Using high-quality vitamin and mineral sources, White Oak truly personalizes a PFB to meet your specific needs and goals. Fortified to provide balanced vitamins and minerals to lactating cows, this product contains a 2:1 calcium-to-phosphorus ratio. Specifically formulated for rations where legume hay or haylage is the primary forage source, this premix can be blended with your unique homegrown grain and protein sources. This product does not contain salt. 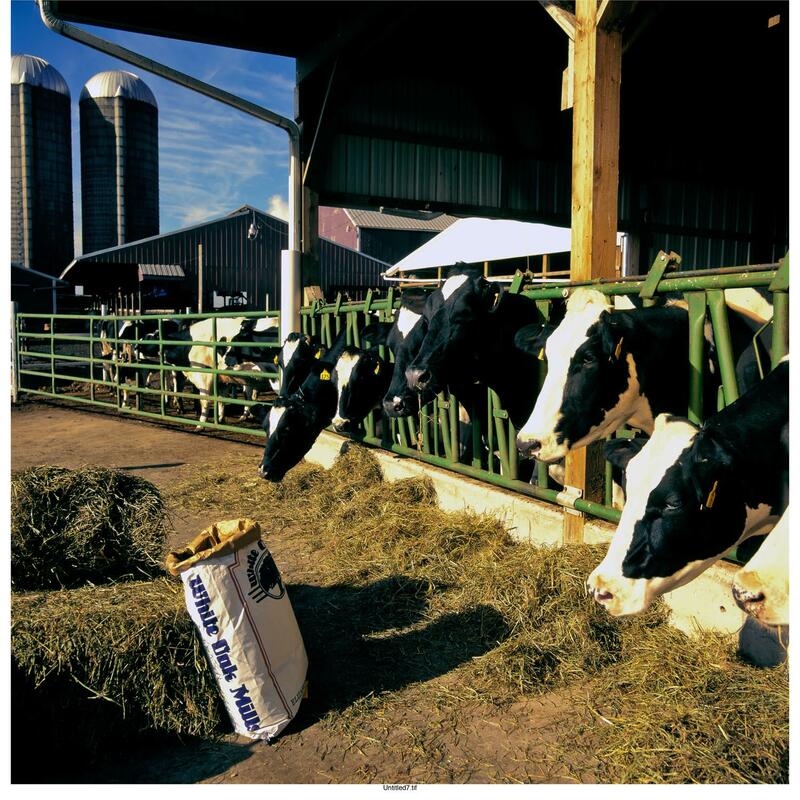 A highly-fortified premix useful for on-farm blending of homegrown grains and protein sources, this product is designed for lactation rations utilizing corn silage as the primary forage source. This product does not contain salt.